THE ZOOKEEPER"S WIFE by Diane Ackerman was published in 2007.
non-fiction book The Zookeeper's Wife. April 30, 2013 the actors and director were attached. August 24, 2015, Focus Features acquired the US rights to the film, and cast signed on. Actual Principal Photography with actors began- September 29, 2015, in Prague, Czech Republic. Filming ended - November 29, 2015. 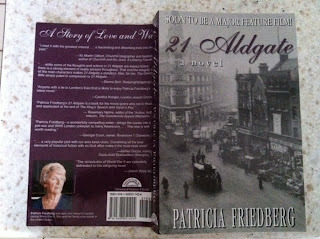 In 21 Aldgate I tell the story of a family and their experiences in the 1930’s leading up to World War 2. Now in 2017 I see too many parallels to those years. What I couldn’t remember for the novel I researched. I read the rhetoric of the British politicians, Neville Chamberlain’s naïve words. “…there will be peace in our time.” I shuddered at the way Hitler and his cohorts made promises and never kept them except for his intention of wiping out the Jews. I can’t help likening it to a reply to President Trump’s statement re Isis, that he supports killing innocent people and committing war even if it results in the deaths of innocent women and children. Hitler had no regard for basic principles of humanitarian law and neither does Donald Trump. We have a government of self interest Republicans who haven’t yet had the guts to stand up to a dictator and his advisers. I suggest they go back to their history books and see how the Third Reich accomplished their endeavors before we become the Fourth. 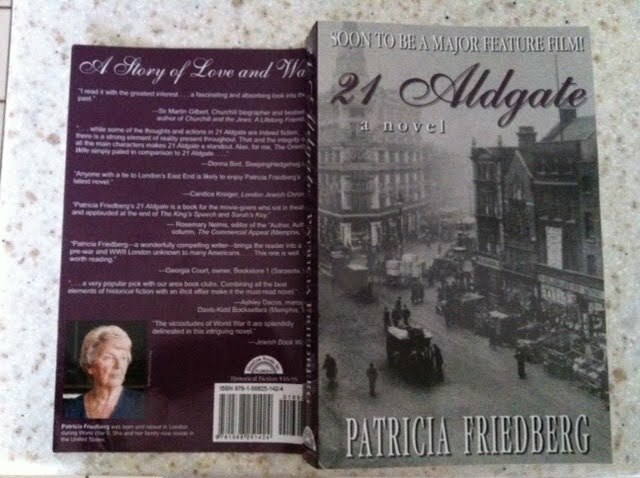 21 ALDGATE by Patricia Friedberg based on true-life characters and events. 21 ALDGATE is the story of CLARA LEVY a strong, independent and inspirational woman, whose drive, determination and courage sets her apart from her generation of women. 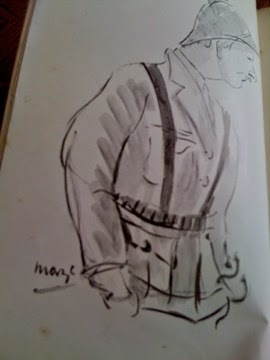 assistant to Artist PAUL MAZE in the writing of his memoir. And so begins a journey for Clara, every day a few miles on the bus, every day a little further from Aldgate and her family. CLARA assists MAZE in the writing of his memoir: A FRENCHMAN IN KHAKI , by PAUL MAZE, William Heinemann, LTD., London, England 1934. She is introduced to the society Maze moves in, the privilege he enjoys and despite the prejudice she encounters a passion grows between them. Often called the last of the Impressionists, Maze had a reputation as one of the great artists of his generation. He was born in 1887 into an artistic circle in Le Havre, where the young Maze learned the rudiments of painting from family friends that included Renoir, Monet, Dufy and Pissarro. 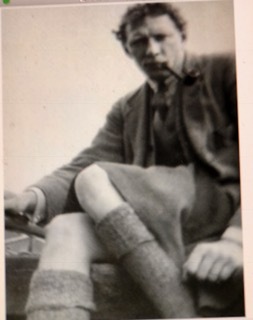 His father, a tea merchant, sent him to school in Southampton where he began a life long love affair with all things English. On the outbreak of War, the sight of the Scots Greys disembarking at Le Havre inspired him to sign up immediately as their interpreter. A brave and highly decorated soldier, Maze was awarded the Distinguished Conduct Medal and Military Medal and bar; he sketched continually throughout the Great War, his pencil and paper never far from his bayonet. 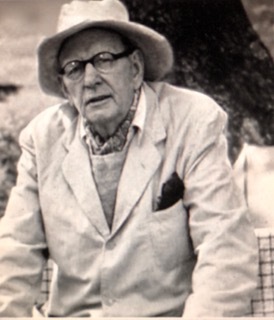 During this time he encountered Winston Churchill and a mutual interest in painting led to a lifelong friendship, often with Maze acting as Winston’s artistic mentor.